Jo Ann was born March 4, 1925 to Charles and Katherine Roberts, in Brooklyn, New York. As a child, Jodie lived in several states, including homes in New York, Illinois, Washington and California. As a teen, she moved with her parents and siblings to Kerrville, Texas, a move which would shape her life for many years to come. She became an avid horseback rider and had dreams of becoming a veterinarian. She graduated from Tivy High School in 1943 and attended the University of Texas. Gifted with a beautiful singing voice, she began formal lessons in operatic performance. The rigors of vocal training took their toll and she soon discovered that her dream was not meant to be. Returning to Kerrville, she fell in love with a handsome Naval aviator in training, Stan Morris. They were married on Valentine’s Day, 1944. The couple started their life together in San Antonio, where their first son, Stanton Jr., nicknamed “Chip”, was born in 1946. Son Dean and daughter Melanie were born in 1950 and 1952, in San Antonio. In 1953, her life changed forever, when she received her first visitation from the Mormon missionaries. After several teachings, her desire for a forever family led to a strong testimony, baptism, and life-long dedication to the word of God, church service and living life guided by faith in the principles of forgiveness, love and eternal life. Stan’s call of duty took her and the family to locations throughout the country. They found themselves in many new cities, including the very un-Navy like Olathe, Kansas. This was a very rich experience for the family, living on a working farm and making friends in the heartland of the country. After relocating to northern California, the family soon welcomed a new member, son Hamilton, in 1964. Mom blazed new trails as a 40-year-old mother, using the new “Lamaze” natural birth method. She had the very unique experience of attending her eldest son’s high school graduation, while holding a newborn in her arms! The family soon relocated to southern California, where Mom built her dream house and Stan finished his naval career. In 1968, her next life-changing event came sadly and unexpectedly, when the family separated in divorce. She made many difficult decisions, including relocating back home to Kerrville, in order to give her young son an upbringing in a family centric community. She made an immediate impact on the local church congregation, by donating her beautiful Kimball organ to the chapel and enriching the music program with her many talents and angelic voice. She welcomed her first grandchild, Brandon, into life in 1980. After 12 years in Kerrville, she moved to Athens, Texas, working at Trinity Valley College as a dean’s assistant and dorm mother. In 1986, her next life-changing event brought her to Mesa, Arizona. After trying her hand at insurance sales, for which she admitted publicly she was a terrible “closer”, she found a new career and a second family. With five dollars to her name and at the brink of doing the unthinkable of asking family for money, she was approached in church by Jean Coates and asked if she would be an office manager for her husband Gaylon’s growing company. With a hearty YES! she became not only a valuable part of the business, but an adopted grandmother and friend to the Coates family. After 23 years and at the age of 85, she retired from the business, but remained in their hearts. She welcomed a second grandchild, Crystal, into life in 1993. In 1995, at the age of 70, son Dean gave her a surprise birthday present for the ages. As an avid hang glider pilot and lover of all things with wings, he brought her to his favorite flying site at Torrey Pines, California and said, “we’re going flying today, Mom”. She said quizzically, “We?? ?” It wasn’t long before they were sharing the skies together, with Mom on a tandem glider piloted by one of Dean’s trusted friends. Her final life-changing event came in 2004, when after 24 years of living solo, she and son Hamilton purchased a home together. They had many wonderful experiences, good times with family and grew closer as mother and son. She is survived by two sons, Stanton, Jr. and Hamilton, daughter Melanie, grandson Brandon, granddaughter Crystal, sisters Roberta and Carol and many nephews, nieces and cousins. 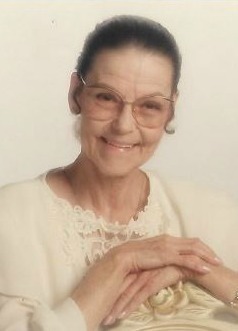 Her son Dean, pre-deceased his mother in October 2008. She will be loved and remembered for her many talents, honesty, devotion to family and love for Christ.